Auto-Reclosing Circuit Breakers have a remarkable capability to improve SAIDI and SAIFI figures, and engineering firm NOJA Power congratulate Nigerian utility Ikeja Electric with their remarkable network reliability improvements through deployment of their first smart grid using NOJA Power OSM Reclosers. 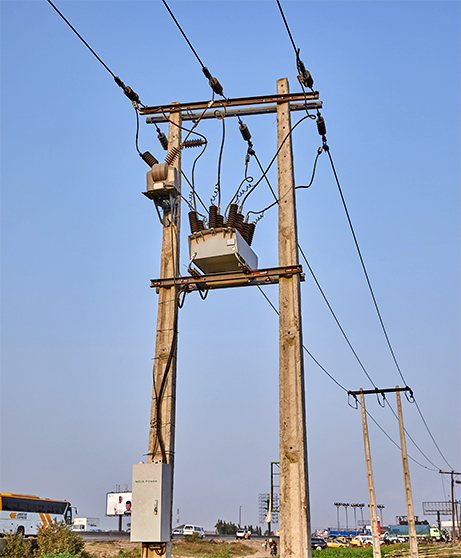 After a successful pilot on the Akute 33kV feeder in Nigeria, Ikeja Electric have continued rollout of the project providing reliability improvements that will power homes and businesses of the region. Following the success of the pilot, two more have been successfully installed on Ijede 33kV feeder in September 2018. These installations have significantly improved the operational efficiency and load management in those locations. With these installations, Ikeja Electric and Nigeria join the list of 88 nations with NOJA Power OSM Reclosers in service. These devices are issued with functionality to handle the adoption of renewable energy around the world as standard, enabling safe, green and reliable energy for their full 30 year service life. With a mission to Empower the World, NOJA Power are committed to developing technology enabling safe and reliable electricity for humankind. The OSM Recloser product is the culmination of decades of experience in the smart grid industry, providing the ideal starting point for smart grid technology deployment and network reliability improvement. If you have a network reliability challenge to solve or would like to learn more about smart-grids, reclosers or solving renewable connections, visit www.nojapower.com or contact your local NOJA Power Distributor.